Good value and comfortable ,however am not thrilled with the chin strap configuration. I've been searching for a half helmet with a cool design that I could use a full face shield with, the pull down face shields don't come down far enough to do any good. 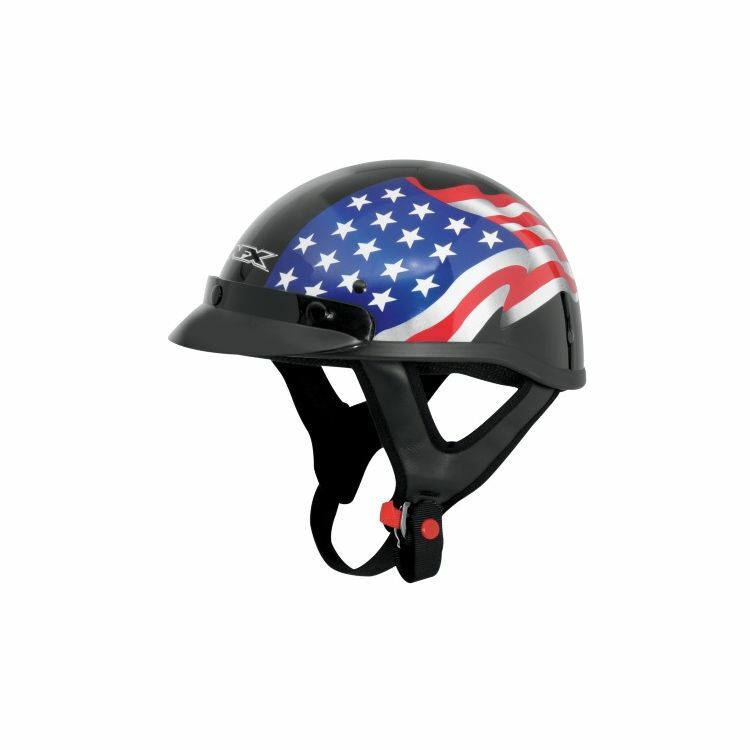 I loved this helmet with the flag! I wanted a simple half-helmet for hot weather riding. I got the white color scheme to help reduce heat build-up. This fit my needs perfectly.